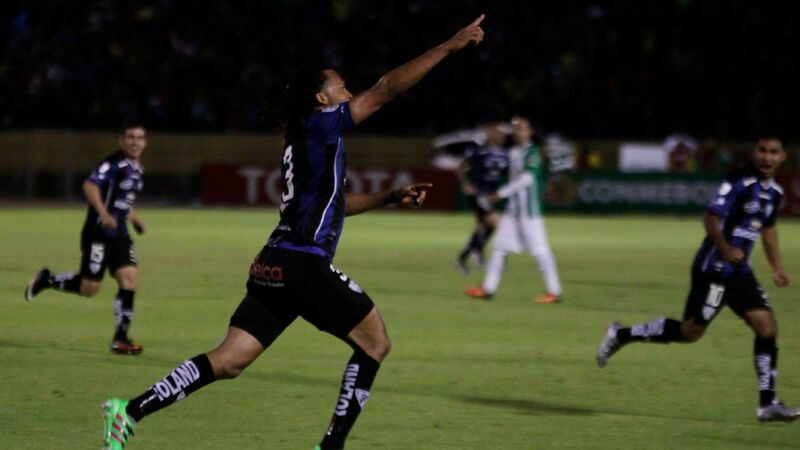 Gilbert Alvarez, center, notched Wilstermann's second goal against River Plate as they defended their home field with flair. The Copa Libertadores lacks the thrilling quality of a Barcelona, a Real Madrid or a PSG. 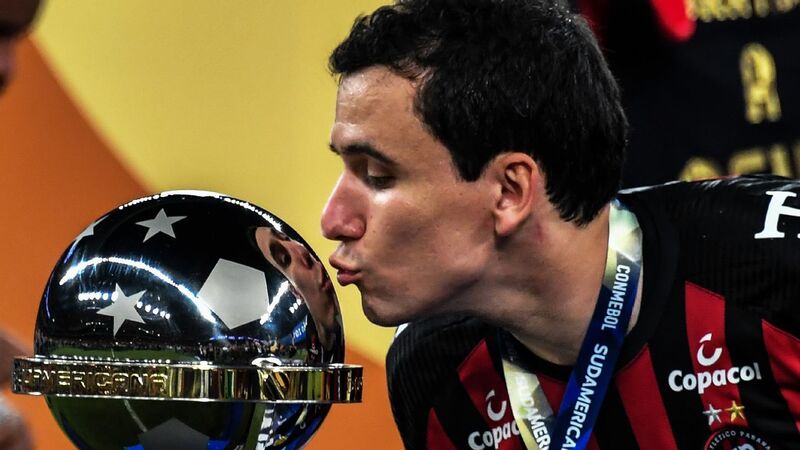 But South America's Champions League equivalent retains the capacity to surprise, to throw up wonderful, unpredictable stories. 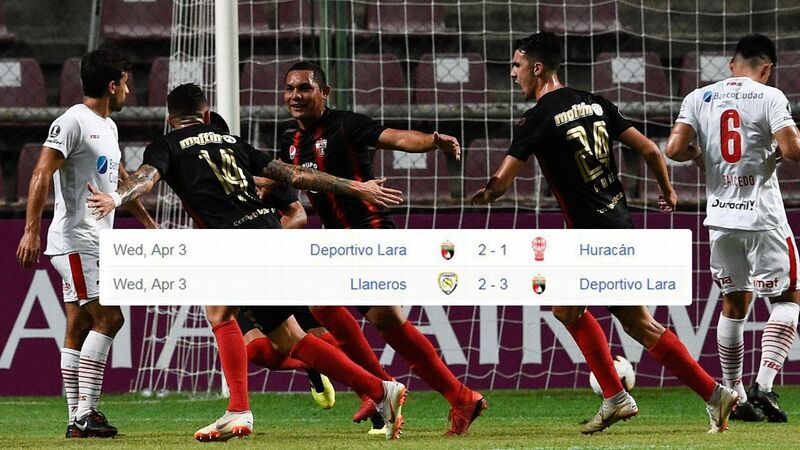 Last year's shock team were little Independiente del Valle of Ecuador, who went all the way to the final, beating Buenos Aires giants Boca Juniors home and away in the process. 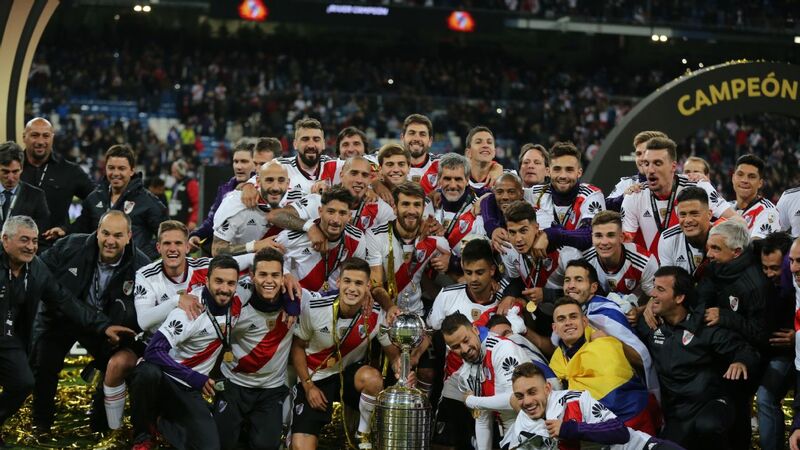 They first caught the continent's attention in the first knockout round, when they squeezed past Boca's great local rivals River Plate. River are now on the end of the wrong scoreline against this year's shock team. Wilstermann of Bolivia beat them 3-0 in the first leg of Thursday's quarterfinal. A successful rearguard action next week in Buenos Aires will take the Bolivians into the continent's final four. It always looked like an intriguing first leg. As boxing writers love to put it, someone's "0" had to go. River Plate had won all of their away games in this year's campaign. Wilstermann, meanwhile, had won all of their home fixtures. The Felix Capriles stadium in their city of Cochabamba has been their fortress. Altitude is part of the story, of course. The rareified air can make life tough for unacclimated visitors, and these are conditions that Argentine teams traditionally dislike. But at 2,600 metres above sea level, Cochabamba is some way away from being the highest point on South America's footballing map. Putting Wilstermann's progress entirely down to altitude does the current team a disrespect. They have put in some dogged defensive displays away from home -- one more will certainly be needed next week -- and showed they were in no way overawed by the occasion, the biggest in the club's history, by the start they made. By the time Wilstermann took a fifth-minute lead they already could have scored twice. Two corners from the right caused havoc in the River defence. The next one was emphatically volleyed home by centre-back Edward Zenteno. Along with lanky Brazilian Alex da Silva, Zenteno forms a competent, experienced defensive partnership. Their lack of pace means that they tend to drop deep, so there was space for River to elaborate. With Gonzalo Martinez and Nacho Fernandez swapping wings, there were times when the Argentines found some fluency. Having taken an early lead, Wilstermann were happy to sit back, bide their time and wait for their chances to come. Ignacio Scocco and River Plate have a tough task ahead of them in the second leg after falling 3-0 on Thursday. Soon after the break they doubled their lead -- Christian Chavez, a little Argentine playmaker who was once a Boca Juniors stalwart, curled in a delightful ball from the right, and ever-willing centre forward Gilbert Alvarez got there in front of River centre-back Jonathan Maidana to guide home his header. River now badly needed a goal. Twice centre forward Ignacio Scocco was well-placed and twice he put his shot too high, the first time from almost underneath the crossbar. And as the players tired and the effect of the conditions kicked in, space opened up. 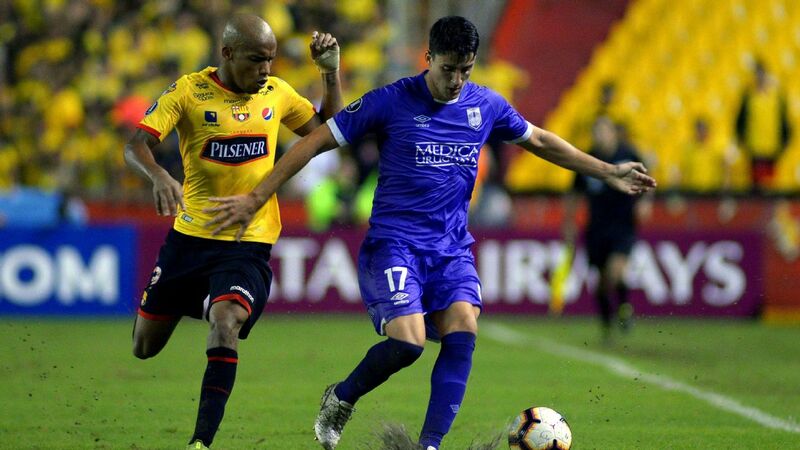 Wilstermann counter-attacked and Alvarez played a lovely reverse ball into the path of midfielder Cristhian Machado, who crashed home a third from the edge of the area. There was almost time for the Bolivians to add a fourth. But as it stands, 3-0 up, the team named after Jorge Wilstermann -- a pioneer of aviation -- will fly down to Buenos Aires full of optimism for next Thursday's rematch. Whoever comes through will meet Argentine opposition in the semifinals -- with San Lorenzo the favourites after their 2-0 win over Lanus. The other, mostly Brazilian half of the draw is all square. 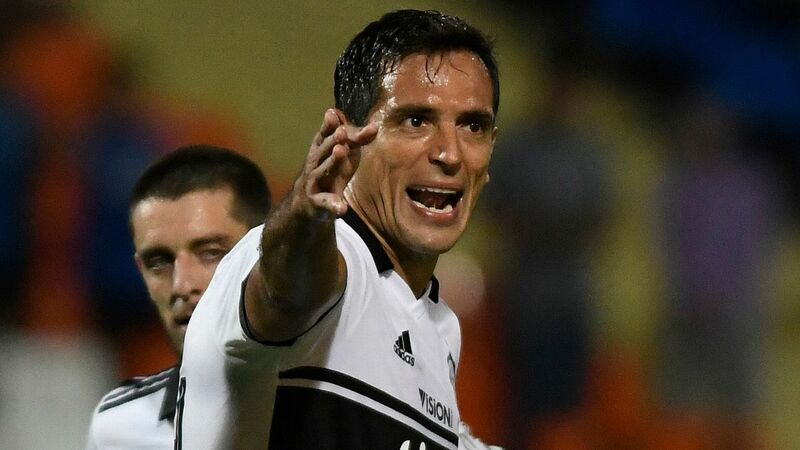 Santos, finding form at the right time, look strongly placed after coming back from Ecuador with a 1-1 draw against Barcelona of Guayaquil. And there was no scoring in the all-Brazilian tie between Botafogo and Gremio, who will seek to break the deadlock in next Wednesday's second leg.